Anzac round is in the books and quick as a flash, every team has played a third of their games for the season. Here are my talking points from an exciting and unpredictable weekend of action. Are the referees putting the whistles away, or are the players finally learning? This crackdown on offside and ruck penalties to start 2018 has lasted longer than any other crackdown in recent memory. Normally, you’ll see an area heavily policed at the start of the season – and by start, read less than a month, and then things return to normal as the game turned into a sloppy sport resembling rugby league. The referees have stamped their foot up and down this year though. There would be no getting away with anything. Round 8 brought with it the cool southerly we have been expecting for a month though. The number of penalties blown across the weekend was just 116 at an average of 14.5 per game, only going close to being matched by the first round of the season. Here are the numbers to prove Round 8 was a different one. As you can see from the numbers above, this is just the second round with an average of under 17 penalties per game, and while three penalties doesn’t feel like much, it seemed like it across the course of the weekend. 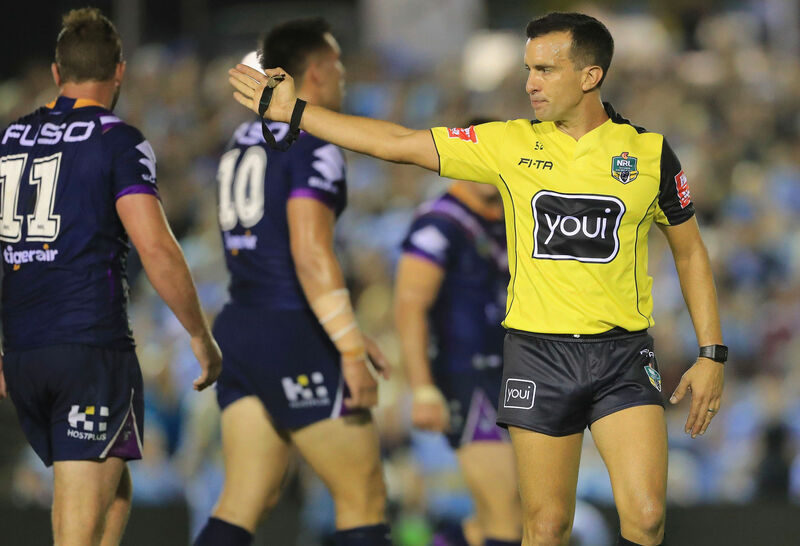 The Dragons-Roosters game on Anzac Day saw just eight penalties blown and sitting in the grandstand at Allianz Stadium, there could have easily been a lot more, absolutely no doubt about it with both teams regularly offside. While there were still plenty of goalline penalties blown across the weekend, it seemed as if there were less in midfield, with the ten metres from all sides involved seemingly becoming quite skinny at times. While it’s only one week at this stage, it’ll be interesting to see if the trend continues over the next few weeks, because frankly, it didn’t seem like the players improved in either the ruck or on the issue of offside all that much. I agreed with those saying it for the first three, maybe even four weeks, but it’s hard to hold up that line of thought at this point. The Dragons have beaten some of the supposed best teams in the comp, and done it without playing all that well. 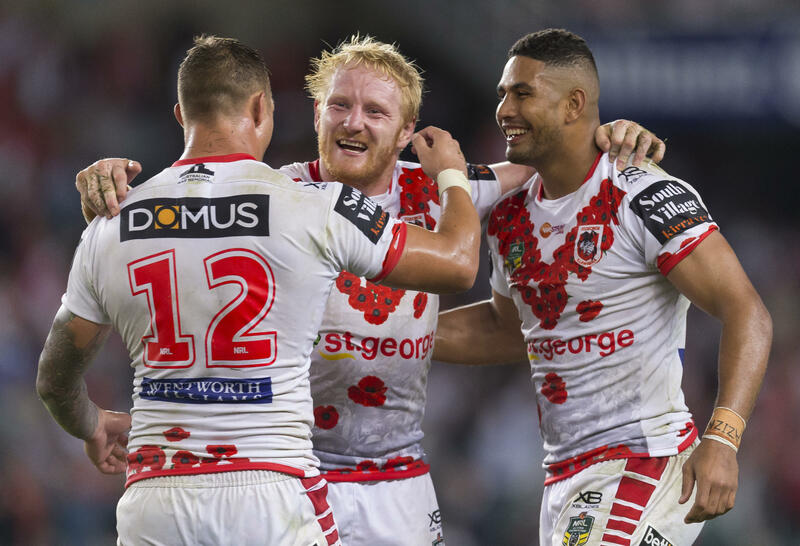 Paul McGregor’s side haven’t played consistently well, but their defence has been solid and they always seem to find their way out of tough situations, with the exception of their one loss against the Warriors in Auckland. I was as concerned as anyone for the Dragons head into Anzac Day. With six and one on the board and coming back off a five-day turnaround, it was their game to loss and the Roosters to win. It needed to be a statement game from the tri-colours, but it ended up being anything but. The Red V defended their line very well and made the most of their limited opportunities in the first half to take a lead into the sheds, then didn’t let up in the second 40. In the end, it was a deserved win for the Dragons, no matter what happened with Nene McDonald’s ‘try’ in the closing stages and should they remain competitive against Melbourne next week, there will be no doubters left for their charge at the crown. 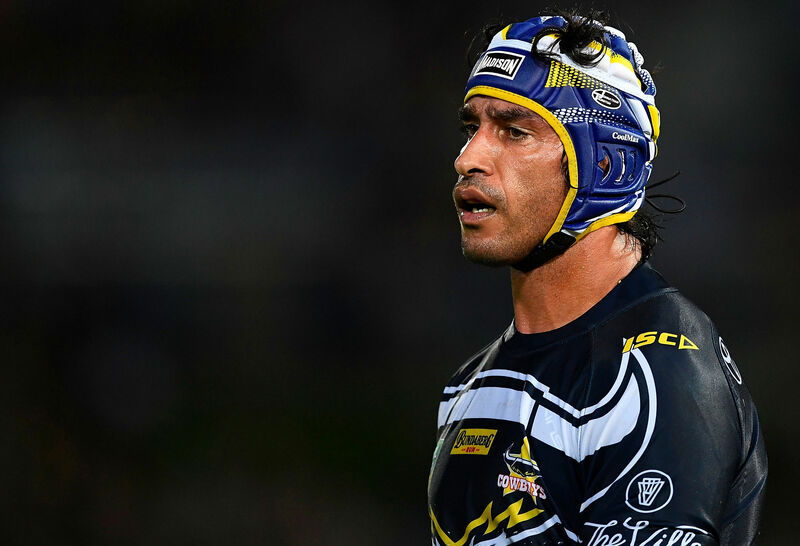 Will Johnathan Thurston ever get back to his best? The plight of Johnathan Thurston – or the struggles – use whichever word you want, because either works, continued at home this weekend. When he isn’t able to guide his team to a win in a desperation situation, you have to wonder if the greatest player to ever step on a rugby league field really has lost his way. It’s difficult to right, because ‘JT’ has given so many great moments to this sport over the years, but just maybe he really has lost it after being injured for most of last year. There was a general feeling coming into the season he would fight his way back to the top of the game, such is the class of the man, but instead, he isn’t in great touch, his key teammates are out of form and the Cowboys are sitting in 15th spot with just two victories from their eight games. For a team who made the grand final last year and were expected to be at the top of affairs again this year, widely tipped for a spot in the top four, it’s far from good enough. Worse than that, they are now going to need to win at least ten of their final 16 games – and with home losses like that, it doesn’t seem likely. The Bulldogs loss on Friday night to the Panthers was a weird sort of game, in the sense that Canterbury looked like a completely different team in the second half to the one who ran out in the first half. In the first 40 minutes, they didn’t make errors, their attack was positive and they put their best foot forward in taking a lead over the Panthers. The second 40 was completely different though as the team who didn’t register a point against the Roosters the week before returned to the field. Instead of looking dangerous, they found ways to drop the ball regularly and fluff scoring opportunities, letting the Panthers not only back into the game, but back into the lead and to eventually register two competition points. While the combination is there between Jeremy Marshall-King and Kieran Foran, it’s not quite ready to be winning games consistently in first grade. Their forward pack has plenty to answer for as well, but it’s getting frustrating for Canterbury fans who with only two wins from their first eight games are starting to stare down the barrell of 2017 on repeat. Three losses in a row for the Sea Eagles, and while the disharmony at the club all started with the issues between Jackson Hastings and senior teammate Daly Cherry-Evans, the club need to get on the same page in a hurry. While their loss at home to the Knights wasn’t as bad defensively or on the scoreboard as the previous two rounds, they lost at home to a team who have won the wooden spoon for the previous seasons who also happened to be playing without their best player and star recruit in Mitchell Pearce. Brookvale is, or at least was and should be, a fortress for Manly, so to lose there is not only a surprise, but speaks of deeper issues at the club. Still, Jackson Hastings hasn’t been with the first grade squad for two weeks. He is no longer a reason for the club to be losing games as they have been and regardless of what you might think, they need to get on the same page in a hurry, or there will be a heap more paint in order for Trent Barrett’s side in the coming weeks. With Lachlan Croker picking up a supposed leg injury, Hastings is likely to be called upon in the first grade team next week, mainly because Barrett will have no other option, unless he moves Apisai Koroisau or Lewis Brown into the halves. Regardless, Hastings is still going to be in the 21-man squad one would think and it might spell trouble unless these professional footy players can put an off-field issue to the side and get on the same page. 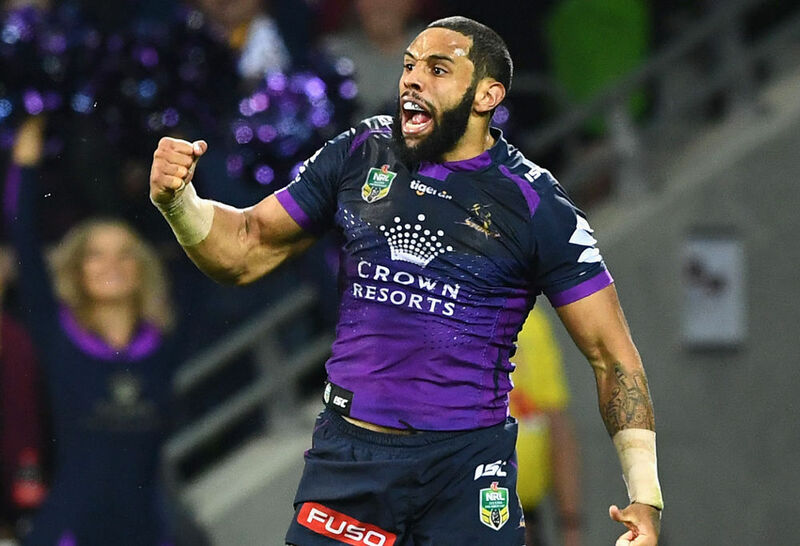 Is Josh Addo-Carr an option for the Blues? Melbourne winger Josh Addo-Carr continues to go from strength to strength in the Victorian capital, and the argument for his inclusion in the New South Wales squad is gathering momentum. He was huge for the Storm again on Wednesday as they thumped the Warriors by 40, the winger scoring a pair of tries and posing a threat with the ball nearly every time his got his hands on it. It gives him eight tries from eight games this season, while he also has six line breaks and 33 tackle busts from his eight games. It’s a threat on the outside the Blues could use, especially now Josh Mansour is likely to miss the series opener with a busted cheekbone. Addo-Carr and Mansour, in terms of acceleration and ability to break the line due to their size and agility, possess a lot of the same skills and traits. More importantly for Addo-Carr, the one thing previously holding him back being defence, seems to have been cleaned up this year. He is tackling at nearly 70 per cent and on the whole has made a lot less errors than he did last year. His ability to score tries, get sets off to a good start and make something out of nothing is at the top of the attributes list though. With the Blues backline well and truly up in the air, Addo-Carr is far from a lock to make his debut in the sky blue, but he certainly must be one of the top options when Brad Fittler and the selectors sit down to pick their squad in a couple of weeks. Anything less than a premiership was supposed to be not good enough for the Roosters this year, and when you go on a spending spree to bring the New South Wales fullback James Tedesco and Queensland Origin half Cooper Cronk to the club, why would fans expect anything different? Unfortunately for the tri-colours, they look about as close to a premiership as I do to Mount Everest. In fact, they look to be more chance of missing out on the top eight than winning the competition, despite the close nature of the NRL this season. Their attack is the key cause of the issues, although their defence wasn’t much chop in shutting down the Dragons during their Anzac Day clash. Trent Robinson’s side seems to not be able to figure out their roles in attack. James Tedesco isn’t involved nearly enough, Cooper Cronk doesn’t seem to be fitting into the Roosters structure and their forwards aren’t intimidating in the slightest, with the dramatic form collapse of Dylan Napa and Jared Waerea-Hargreaves at the top of that pile. While a record of four and four doesn’t leave them in immediate danger, they have only scored 14 points in the last 160 minutes of footy. That, with the names they have on paper, as well as all the territory they had against the Dragons, is nowhere near good enough. Change can’t be far away for the Roosters, but if there’s one thing for sure, next week’s clash with a desperate Manly outfit is going to be one to watch. It’s not exactly a new issue for the Sharks, but patience and ball control have been their undoing ever since the 2016 NRL grand final when they famously got the better of the Storm. For most of 2017, they would drop the ball, give away penalties and play with a typically lazy level of discipline. They found their way into the finals, normally pulling games out of the fire in the dying minutes, but they were never going on to recount their historic fight of 2016, with the defence and extra work catching up to them. While the Sharks were far from perfect against the Titans (or the Panthers in Round 7 for that matter), they were much better at hanging onto the ball, only making nine errors for the entire match. It told in the final score, with the Sharks hanging in the match and eventually taking the win via a field goal. Compare that to Round 7 when they made 13 errors or a big loss to the Dragons in Round 6 when they turned it over a ridiculous 16 times, and it’s easy to see why they had a better time of it on the Gold Coast. Fluency in attack will come eventually – they have too many stars on the field for it not to – but with an improved error count comes more possession, less work in defence and that all should equate to more victories. They sit just outside the edge of the top eight at the end of Round 8, with a record reading four and four. It’s not where they want to be, but with some confidence on their side as well after two close wins in a row, they should be able to keep improving from there. It’s a simple formula, but one which will work for Shane Flanagan’s side if they can adapt and use it. The Brisbane Broncos might have beaten the South Sydney Rabbitohs on Thursday after what was a clinical second half, but it was Payne Haas, the 18-year-old giant on debut who turned heads with his performance. If you had of told me he was 18, then paraded him across a stage, I would have asked you if you were joking. Haas is going to be an absolute wrecking ball. While you can’t teach size and strength, you can teach a kid how to run the ball and do a job for his team, and that’s exactly what Haas did when he got his opportunity deep into the second half of the match. 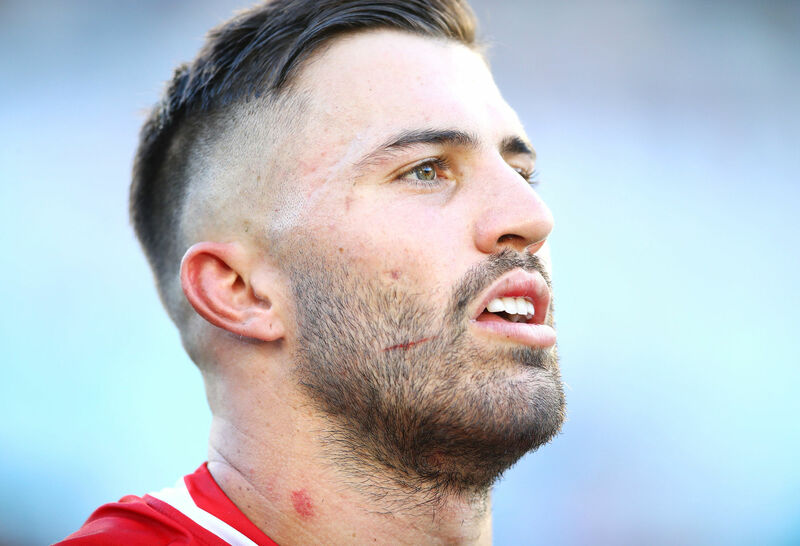 His driving runs and willingness to get involved on the defensive end had the Rabbitohs on the back foot more than once, and while the red, white and green managed to grab some moemntum and almost cause a boilover in the final minute, there is no doubting Haas has a huge career ahead of him. The big forward is likely to be a permanent fixture for the Broncos in the remainder of 2018, although Wayne Bennett, like he did with Jamayne Isaako last year, is likely to protect him from playing every week and ensure he still get plenty of experience at the next level down to work on his game. How has Ricky changed his Raiders? Just a month ago, you’d watch the Raiders play and try to figure out what their next move would be. How were they going to fix all the lingering issues at the club? 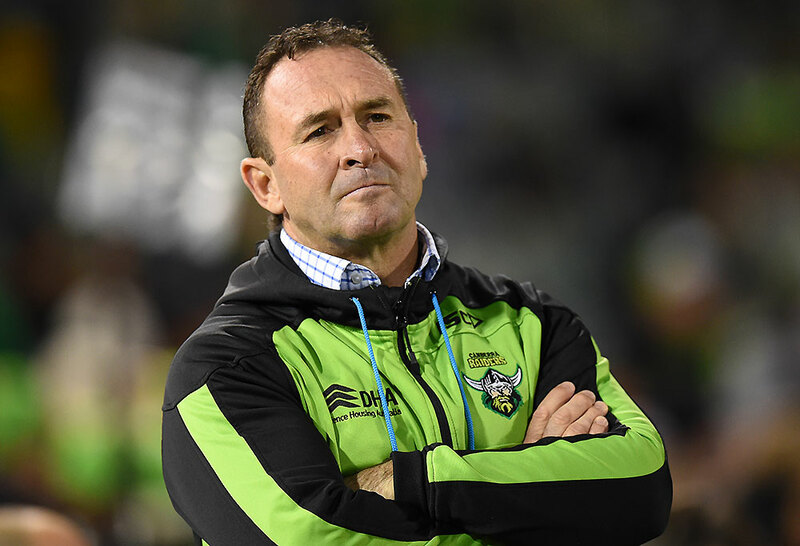 From a halves combination who didn’t know their role, to a misfiring backline and a lazy forward pack, coach Ricky Stuart had it all to do. He and his team have turned it around on the back of one word. That is where the green machine’s return starts and ends. 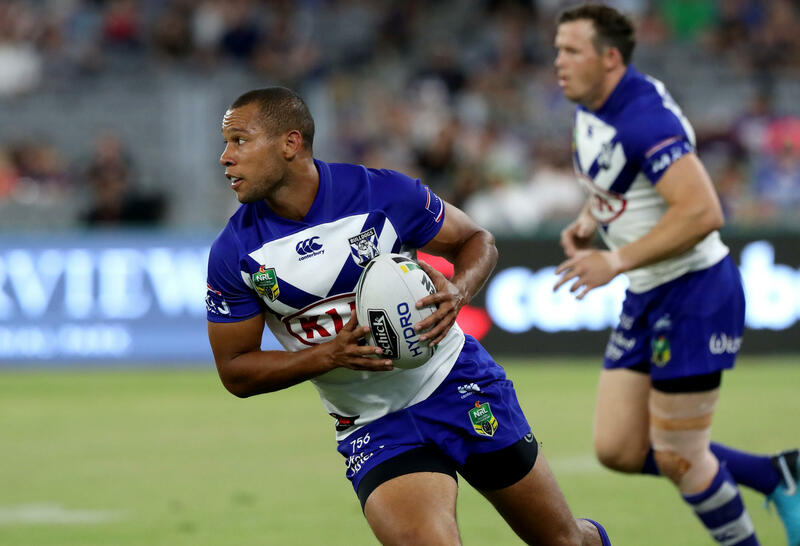 They have now won three of their last four and while a loss last weekend to the Bulldogs at home had the potential to curtail their momentum, they simply didn’t let that happen when the team headed to Townsville for a dangerous match against the North Queensland Cowboys. Their attitude in on line defence was superb as they stopped some of the most dangerous players in the competition from registering more than eight points. For many of the Raiders players, it wa their first win in Townsville and to do it in such convincing fashion suggests more goodness is on the way for Canberra. While their attack still needs work and is far from perfect, they can build on that as the season goes along. Getting the defence right is the key to winning games for any club (just ask the Dragons and Warriors at the head of the table) and the Raiders are now halfway there. If there is one game during the regular season worth attending not played by the club you support, then it’s Anzac Day at the Sydney Football Stadium between the Dragons and Roosters. The atmosphere created by two of the more passionate fan groups in the competition, especially when they face off, is spine-tingling and enough to rival any finals game. It doesn’t quite rival Origin, but it’s not all that far behind. When it’s full, the Moore Park venue is the best in Sydney for watching rugby league. It’s a true rectangular ground and while a nightmare to get to at times, it’s better for atmosphere than the sleeping giant at Homebush. From the Anzac ceremony before play gets underway, through the opening minutes and right to the end of the game, the atmosphere created, as commented by other Roarers, is distinguishable through the TV, something you don’t normally get outside of finals and Origin. There’s no ifs or buts. It’s the best regular season game of the year. Roarers, what did you make of Round 8? Drop a comment below and let us know.